A safe ship without damage stability compliance is like peanut butter without jelly, coffee without creamer, or ham without jam. Okay. That last one didn’t make sense. 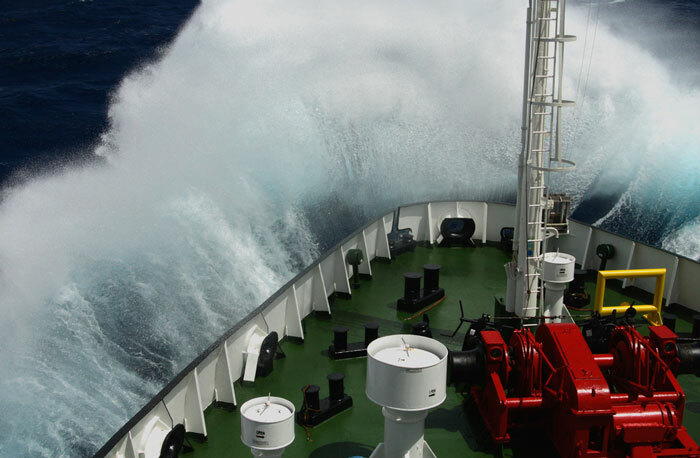 Damage stability has been one of the buzz word in the maritime industry in last few years. And you’re doing yourself a massive disservice if you don’t take time to understand damage stability. What you might not know, though, is which resource provide what information about damage stability. That is why I’m going to discuss about all the resources related to damage stability. Sometime you may find all this as one booklet called “damage stability booklet”. And on some ships, you may find three different booklets titled as above. Let us discuss what information each of these provides. Damage control plan is required as per SOLAS chapter II-1/Regulation 19. 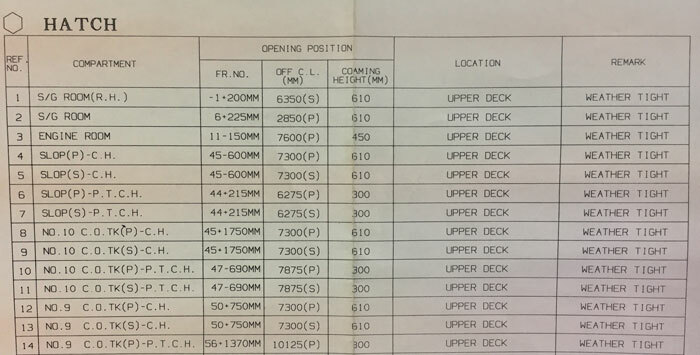 A plan showing clearly for each deck and hold the boundaries of the watertight compartments, the opening therein with means of closing and position of any control thereof, and arrangement for the correction of any list due to flooding. layout of all the compartments such as cargo tanks, ballast tanks, fuel tanks etc. arrangement for correction of the list during flooding. Such arrangement could be the use of ballast pumps, Fire & GS pumps. 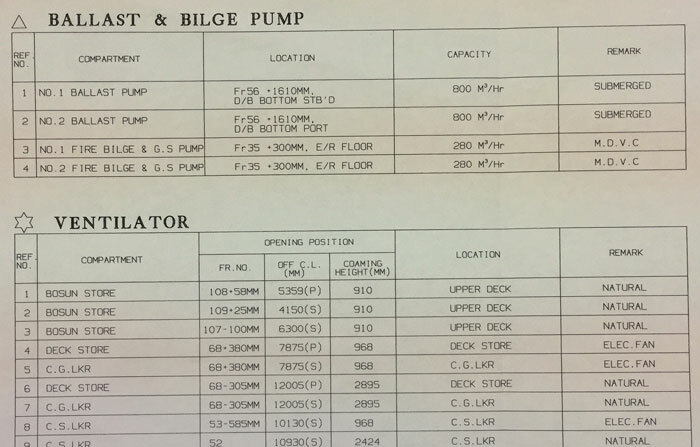 In this case, location & capacities of these pumps need to be shown on the plan. The more detailed guidelines about the information required in the damage control plan are provided in MSC circular MSC.1/Circ 1245. Damage control plan is required to shows the location and other details about resources required for damage control. For example during flooding into a compartment, we would like to check the air pipes if air is coming out from these. Damage control plan gives the location and details of the air pipes of all compartments. It gives the location and details of all watertight (and weather tights) doors on the ship. 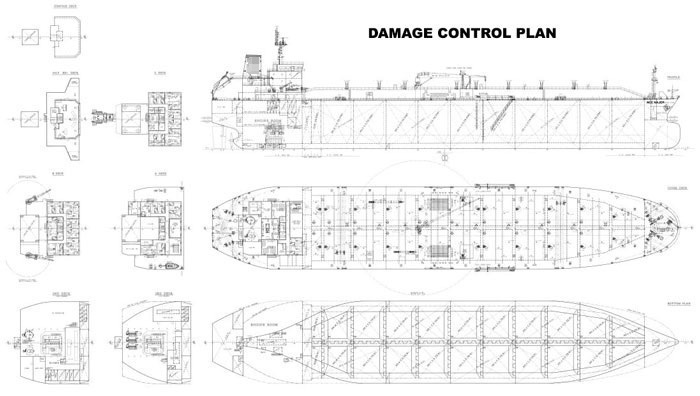 Similarly, damage control plan gives the details of Tanks, Hatches or other compartments on ships. It gives the type and location of important valves that can help in damage control or help in restricting the flooding. And finally, it also provides the information (like capacity) and location of pumps (such as Fire and GS pump, ballast pump etc) that can be used for pumping out the water during flooding. 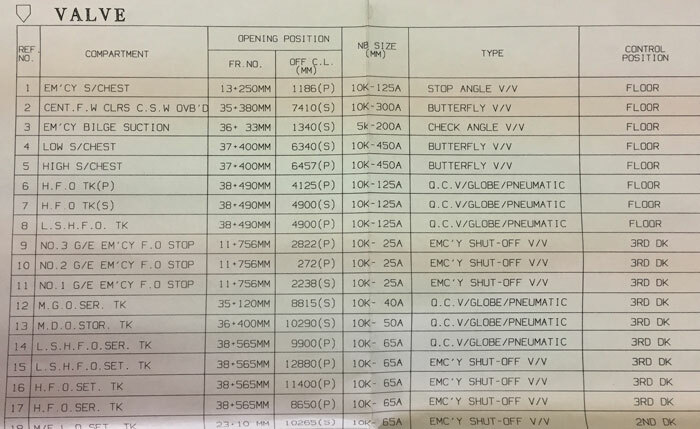 Apart from all this information, the location of these will be displayed on the ship’s plan. The name says it all. This booklet gives the information to the master about how to control the effect of damage. 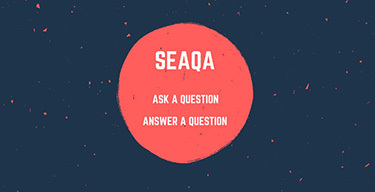 Damage control booklet is also required as per SOLAS chapter II-1/Regulation 19. The information required in the damage control booklet is contained in the MSC circular MSC.1/Circ.1245. 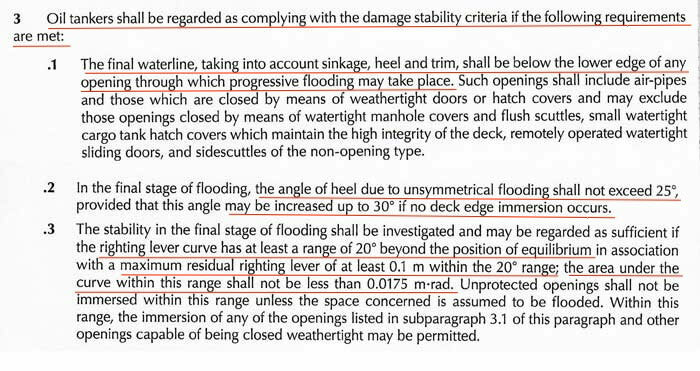 As per SOLAS chapter II-1/19, damage control booklet need to have all the information as per damage control plan. To comply with this, usually, a copy of damage control plan will be included in the damage control booklet. Apart from this, damage control booklet is supposed to provide information and guidance to the master about actions to take in case of damage to the ship. ways to reduce the effect of flooding such as by use of pumps to pump out water. Along with this information, some ship’s damage control booklet may also provide a flow chart to deal with damage situations. Below is one of such flowchart. Rest of the damage control booklet will consist of the information and guidance to support required actions as per this flowchart. For example, one of the action requires the vessel to monitor tank sounding. 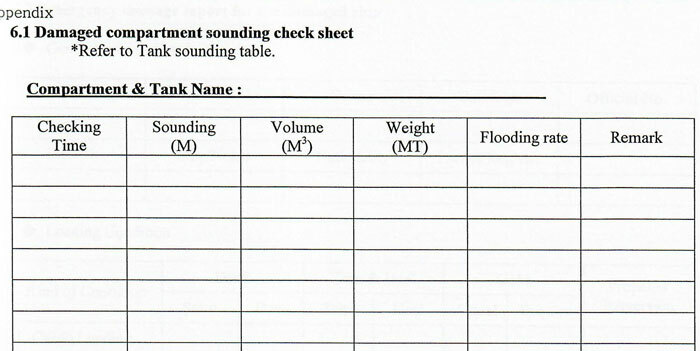 Damage control booklet will have one section with the ready format for recording tank soundings. Another action requires the vessel to report the damage situation to the necessary organization such as ‘Emergency response service”. For this damage control plan will also provide a ready format for such reporting. 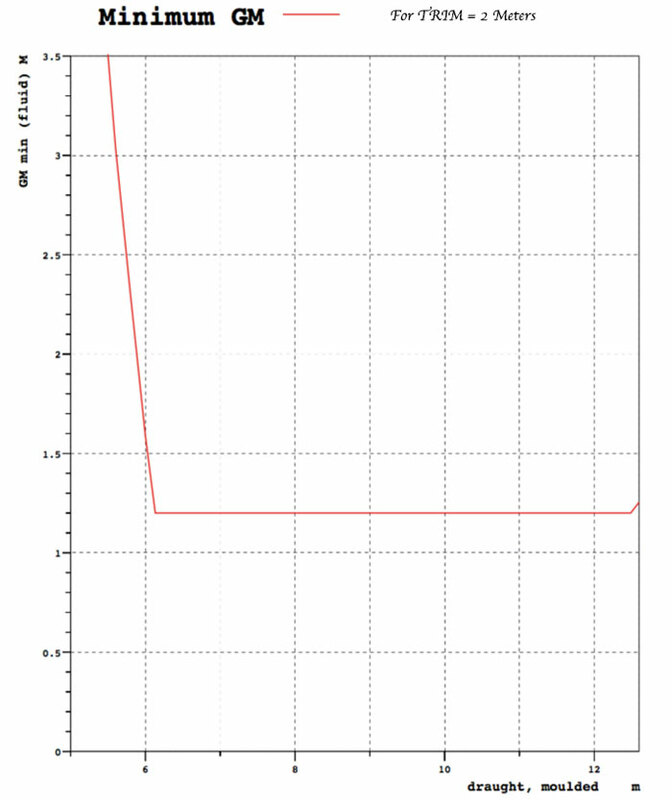 Damage stability calculations demonstrate the compliance with the applicable damage stability regulation. These are the calculations made during the design stage of the ship and verified after the construction. 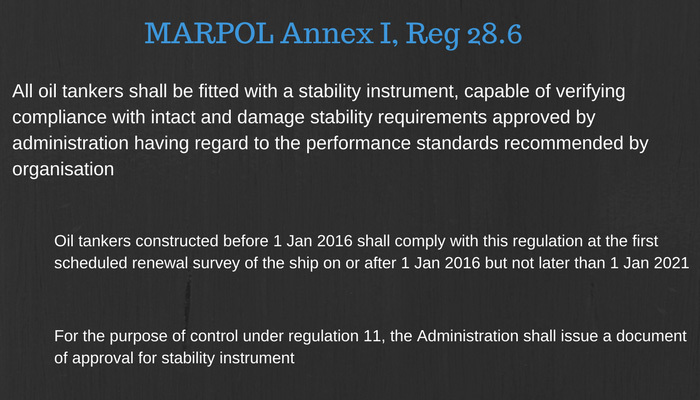 For example, oil tankers need to comply with damage stability requirements as per MARPOL Annex I, regulation 28. Damage stability requirements for oil tankers are based on Damage assumptions, meaning that extent of damage is assumed at locations as mentioned in Marpol Annex I, Reg 28. Damage cases are drawn based on these damage assumptions. For example below are the damage cases for a ship. 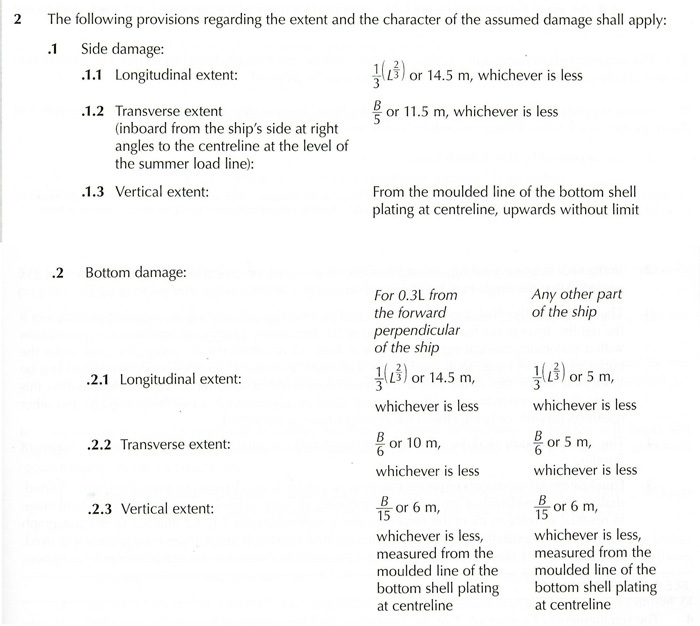 These damages are then assumed for all the loaded conditions mentioned in ship’s trim & stability book (intact stability conditions). 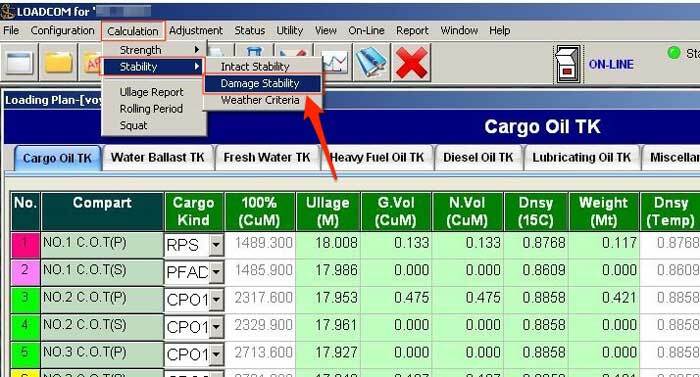 The damage cases are not applied to the ballast conditions because the damage stability requirements apply to the tankers in loaded condition only. 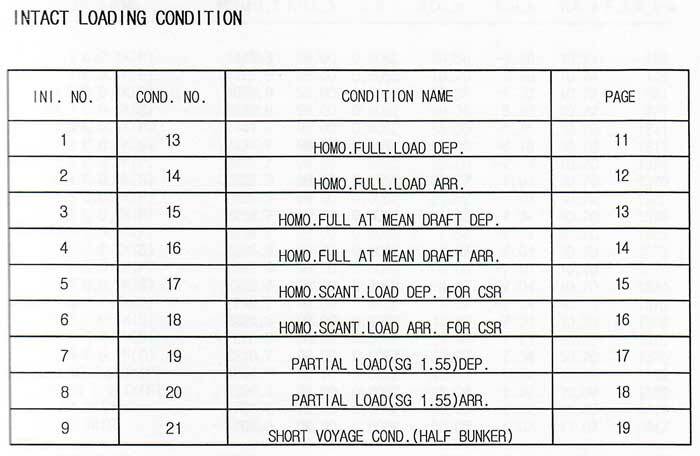 For this ship below are the loaded conditions in the intact stability booklet. Let us take damage case 101. This damage case requires assuming damage to 6 compartments. In each of the intact loading condition, these damages need to be assumed. After these assumed damages, the ship needs to comply with damage stability requirements mentioned in MARPOL Annex I, Reg 28. Each damage case will have 9 damage stability conditions. For this ship, there are a total of 21 damage cases and total 9 intact loaded conditions. The damage stability calculations need to be done for total 189 conditions. And the end results of these calculations are supposed to comply with the damage stability criteria as per MARPOl Annex I, reg 28. These calculations form the part of booklet “Damage stability calculations”. 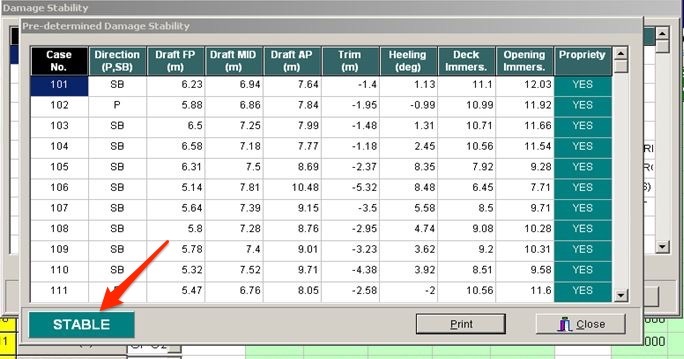 damage stability information shall provide the master with a simple and easily understandable way of assessing the ship’s survivability in all damage cases involving a compartment or group of compartments. Damage stability calculations showed that ship will comply with damage stability requirements when damage cases are applied to the pre-defined intact loading conditions. But in reality, our actual loading conditions during the voyages may be totally different from that in intact stability condition. Our actual loading may not match with any of the loading conditions in the stability booklet. This SOLAS regulation requires clear and easy instructions to be given to check if our actual condition complies with the damage stability requirements. 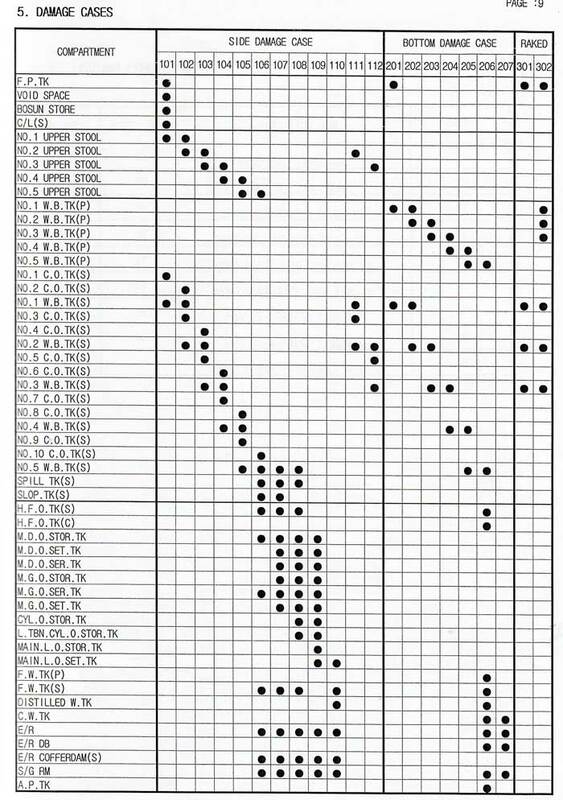 These instructions are usually in form of a graph (or table) of Draft versus minimum GM (or maximum KG). There may be a different graph for the different trim of the vessel. This information will form the part of either “Damage stability calculations” or “damage control booklet”. If the vessel has a single “Damage stability booklet”, you will find this information in there. All oil tankers of 5000 T deadweight or more shall have prompt access to computerized shore-based damage stability and residual structural strength calculation programs. In the real world, this program is usually named as “emergency response service” and is provided by classification societies. Though this is mandatory for oil tankers, ship owners prefer this service for other types of vessels too, especially on container ships. This service provides an emergency helpline number and email. In case of a damage and breach of hull plating, the master can call this number and update regarding the incident. Master then need to send the initial reports, loading condition before the damage and extent of damage by email. what specific action vessel can take to reduce the effect of damage. There is something else that ERS can be used for. 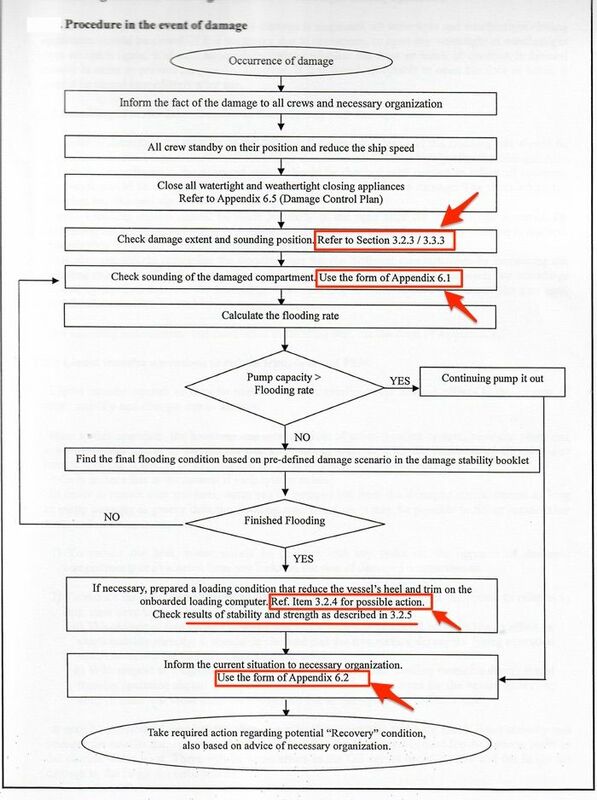 It can be used for showing the compliance with the damage stability requirements. Some vessels still do not have the facility in the loadicator to calculate damage stability. If the vessel’s actual loading condition is not matching with any of the pre-defined loadicator conditions in the intact stability booklet, this loading condition can be sent to the ERS. They will check the loading condition and advise if it complies with the damage stability requirements. This is considered to be one of the methods for checking the damage stability compliance. In fact, if the condition is approved for compliance with the damage stability, same can be added to the list of approved damage stability conditions. MARPOL Annex I regulation 28.6 requires the oil tankers to be fitted with loadicator capable of calculating damage stability compliance. The loadicator if fitted with damage stability can check compliance with all the damage cases identified as per MARPOL or other regulations for other types of ships. It will show all the damage cases identified in the damage stability booklet. Click on the “Pre-determined” to check if the ship complies with the damage stability requirements. 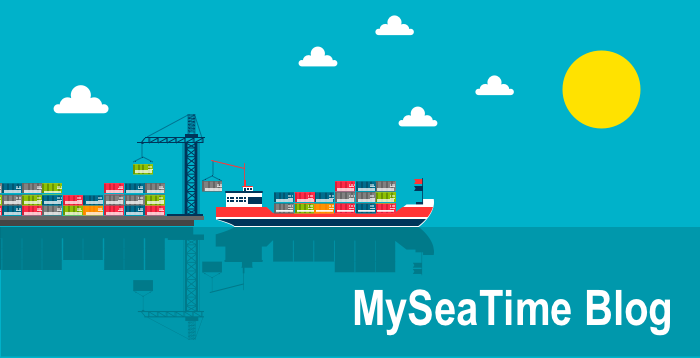 A seafarer may or may not go through any incident requiring the use of damage stability on board. But we need to be prepared for the worst. Knowledge of damage stability can help to take quick decisions at times when each minute matters. Knowing about damage stability does not mean knowing the complex calculations. It is to know the exact actions in case of damage and knowing about the resources on board that would help in these actions. Damage stability calculations, damage control plan/booklet, emergency response service and loadicator are the resources that we must know about. During my tenure onboard sometimes due to company stricht instruction to load the full cargo sometime one or two damage cases do not comply with damage stablity cases.what is the best action to do in this condition .pls assume that all possibility is done with ballasting deballasting transfering fw or fo do. If after doing everything, any of the damage cases does not comply, we need to reduce the quantity of the cargo. Otherwise, vessel does not comply with the damage stability requirements. PSC can detain the vessel because of this deficiency. Cleared all my doubts regarding damage stability. God bless you Sir. Thank you sir for choosing this topic. How to assertain the worst damage stability condition from damage stability booklet? Thank you very much for your good topic! But I still have one question: nowadays almost all SIRE inspectors like to ask Chief Mates about "Worst stability case" knowledge of the ship. Is there only one Worst Stability Case must be determined or it should be calculated each time on loadicator for exact loading condition? Sir Thanks alot for all the topics. 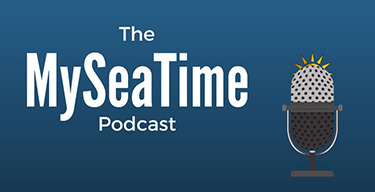 "My Sea Time" is what all the cadets in the world needs, if they really want to understand something about shipping in a simply straight forward explanation. Capt. Rajeev your contribution is highly appreciated. I wish i have this during my cadet time, anyway its very useful to me as a Captain now to teach my cadets. how to answer the SIRE inspector question pertaining to "What is the worst damage stability criteria?" your topics are simple and practical. i have studied from your blogs for chief mates. thanks sir. they are so simple and easy to understand. you explain so easily that concepts get clear from there roots. and then answering surveyor becomes so easy. Hi Captain, it is very good article. I remember when I compared ICLL & MARPOL 73/78 several years ago, damage stability criteria in MARPOL was regulation 25 and GZ minimum value was 1.0m while ICLL was 0.1m. But now it is reg28 and GZ minimum is 0.1m. Do you know the history? 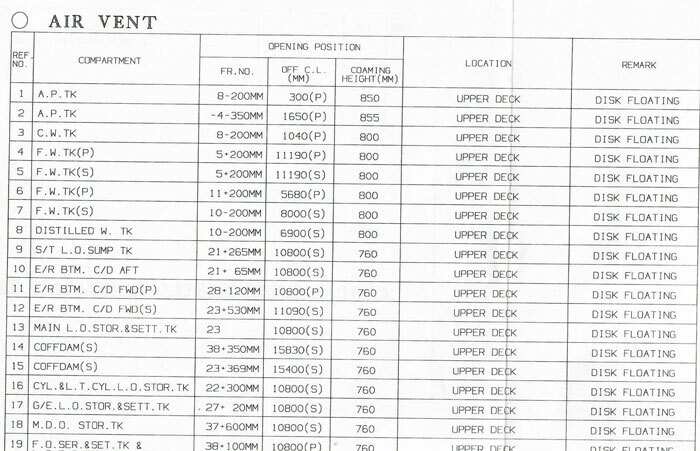 I found that IMO MARPOL 2002 code was Reg 25 and still it 0.1m. My mistake. How to fing among damage stability cases which is the worst case acenario? How to choose which one is the wors case scenario? Hii sir could pls explain the ffa equirements like.fixed foam requirement,co2 requirement for engine room ,deck in breif.